Catia Chien is the illustrator of THINGS TO DO. 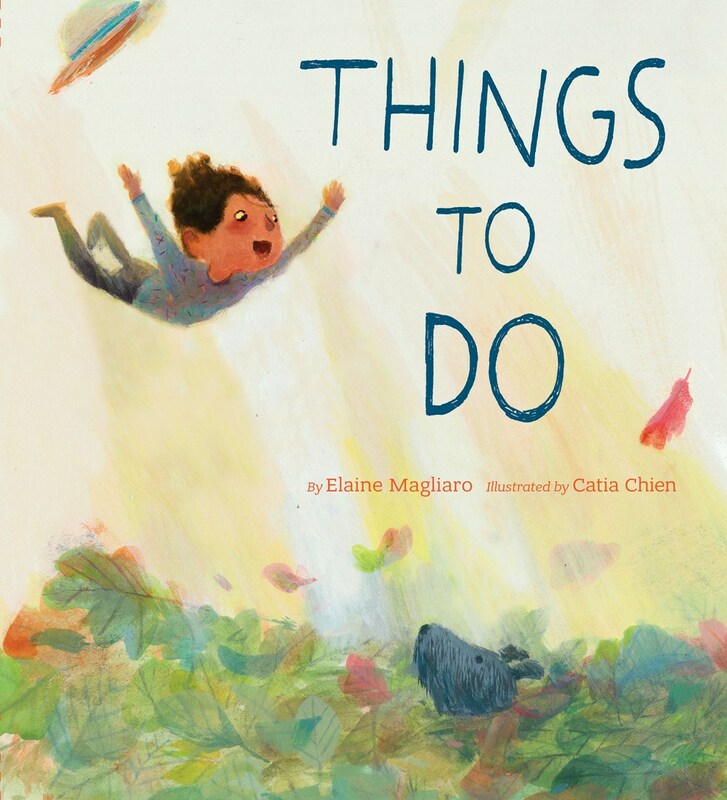 This amazingly beautiful book combines Elaine Magliaro’s poems and Catia’s art to bring to life the small moments and secret joys of a child’s day. Catia and I chat about how she paints with light and texture, the importance of wide open days, life as a young immigrant, dancing with the lights off and so much more! Join us as we celebrate ALL THE WONDERS of Things To Do with podcast interviews, a mobile craft, and a look inside the book! Thanks for listening to my chat with Catia Chien! If you enjoyed this episode, subscribe to the podcast on iTunes or sign up to receive emails of new episodes. If you want to be my best friend in the whole world wide web leave a review for the podcast on iTunes and share this episode. Thanks again for letting me and this podcast into your life. Beautiful podcast with Catia. Just so you know it’s not showing up in your iTunes podcast feed.